Skin is the largest organ of the body, protecting us from disease, toxins and dehydration. Give your skin the attention it deserves with regular facial treatments to help keep it healthy, youthful and resilient. The treatments we offer are customized according to your specific skin type and concerns. Those with acne, pigment issues, scarring, dehydration and sensitivities can benefit from a skincare plan specifically designed for them by our expert aestheticians. Our goal is to make you look and feel your absolute best! Bring your microdermabrasion treatments and facial treatments to a whole new level! At the Breslow Center for Plastic Surgery we’re proud to be one of the first medical spas in northern New Jersey to offer SilkPeel’s state-of-the-art Dermalinfusion skin treatment. SilkPeel Dermalinfusion is an exciting advancement in the world of skin care. This revolutionary patented treatment gives your skin multiple benefits – whether your concern is patchy, discolored skin tone, oily, acne-prone skin, fine lines, wrinkles or sun damage, it’s a proven solution for any skin type. Just like microdermabrasion, Dermalinfusion thoroughly exfoliates your skin utilizing a high quality diamond tip. In addition to that, it simultaneously infuses the skin with specific serums, which we customize depending on your needs – anti-aging, hydrating, lightening , acne-fighting and pore-reducing, or a combination of all of these. The specialized hand-piece’s targeted delivery system and deep pore cleansing vaccum creates circulation and detoxifies the skin, all while stimulating natural collagen production! What skin conditions and skin types can be treated? SilkPeel Dermalinfusion can be used to treat issues such as dry skin, hyperpigmentation, melasma, sun damage, and acne-prone skin. Darker and lighter skin tones can equally benefit from this exceptional treatment. What if I have sensitive skin or rosacea? The variety of diamond tips and vacuum settings allows us to ajust the exfoliation range from gentle to more aggressive, depending on your needs. The treatment is entirely non-invasive, and no harsh chemicals or crystals are used. Will I be red or need to stay home afterwards? Absolutely not! It is very therapeutic, relaxing, and requires absolutely no downtime. Your skin will be soft, smooth, and silky when we are finished. It won’t make your skin photo-sensitive either, so it’s fine to use during the summer time. What is the SilkPeel Dermalinfusion procedure like? The treatment uses a closed-loop vacuum system handpiece to exfoliate the skin. After discussing what skin concerns need to be addressed, the aesthetician will recommend the appropriate topical infusion to treat the skin and stimulate new collagen growth. Each pass on the hand-held piece gently removes dead skin, thoroughly and evenly. Your skin immediately looks clearer and brighter. It is completely pain-free. Does SilkPeel work, or is just a lot of hype? Your skin will have up to 70% more volume after just one session. SilkPeel Dermalinfusion will make your skin firmer, thicker, and healthier. The debris from the treatment accumulates in a waste jar, so you can actually see what was removed! Will my skin peel since it’s called the SilkPeel? No peeling will occur with this treatment. This patented machine was designed so that no chemicals would be needed. The skin is so silky immediately afterwards that the results mimic a peel, but with none of the redness, irritation, or discomfort that one may encounter with certain chemical peels. How many treatments will it take to see a difference? There will be a noticeable improvement immediately! Patients comment that fines lines are softened, enlarged pores are minimized, and if dryness is an issue, the skin takes on an instant dewiness. Everyone leaves with a beautiful glow. We recommend one treatment every 10-14 days for a series of six treatments. Some patients are pleased with a series of three treatments, and then come in every 4-6 weeks to maintain the skin in optimal condition. Can I get other areas of my body treated? Absolutely! At the Breslow Center we always include the neck when treating the face. We also perform this service on the décolleté, arms, legs, back, hands, and feet with the same smooth, silky results. It’s a wonderful way to treat the skin before an event when a little black dress and strappy sandals are required! Why have I never heard of SilkPeel Dermalinfusion before? On the West Coast, SilkPeel is fondly referred to as the “Red Carpet Treatment.” Celebrities put it on their To-Do list before any big event, since the glow has shown to last from 3-5 days with no downtime. 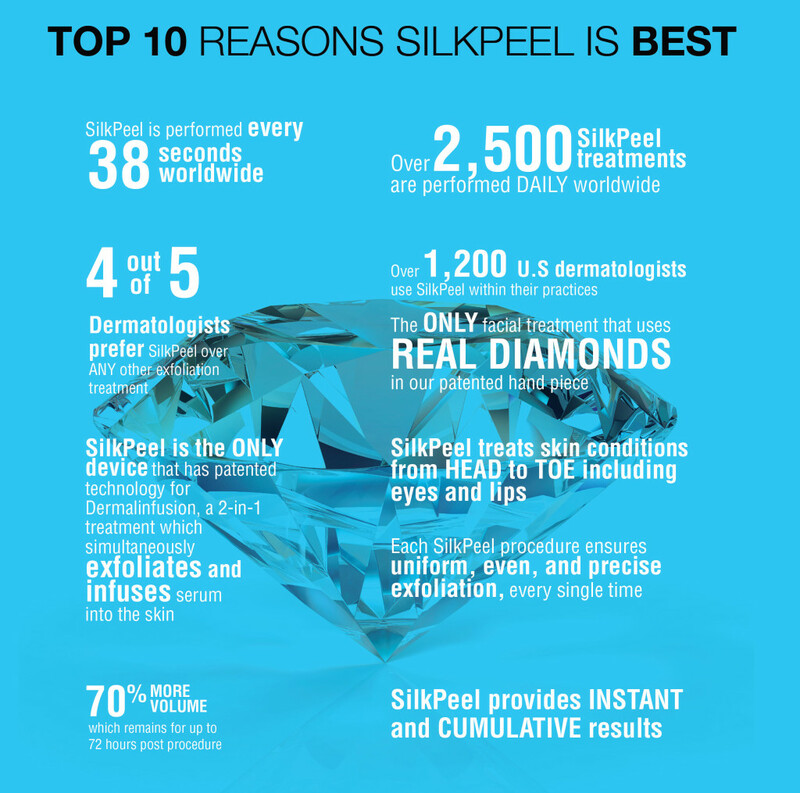 Our Paramus, New Jersey medical spa is one the first in the area to offer SilkPeel’s state-of-the-art skin treatment. Contact us to schedule a SilkPeel Dermalinfusion treatment today! All I can say is WOW!!! My Dermal Infusion experience last week was incredible. My skin has never looked this vibrant and alive. 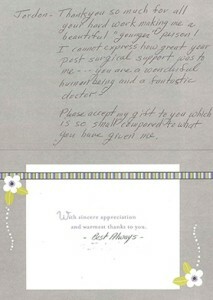 Your professionalism and knowledge in your field gave me such a feeling of comfort and made for a truly amazing experience. And I can’t forget to thank you for fixing my eyebrows!!! You are the first person in years who was able get them back to the way they were meant to be. I am eternally grateful. Thank you for taking to time to prepare the right products for me to use at home as well. I’m looking forward to seeing you again. Lisa, you are the BEST! Alone or combined with other specialized treatments, microdermabrasion is a basic procedure that produces significant results. During this quick and painless treatment the outermost layer of your skin is gently removed, leaving your skin fresh and glowing! Microdermabrasion is a non-surgical, non-invasive, mechanical exfoliation procedure with no downtime. This popular treatment was originally created by an Italian doctor in 1987 and came to the states in the mid-nineties. Since then, its popularity has exploded. The first type of machine exfoliates with crystals, removing 20-30% of the dead skin cells that sit on the surface of your skin. The newest machine, which the Breslow Center offers, is crystal-free or also known as “diamond tip.” This machine is four times more powerful, and can remove up to 80% of the upper layers of the stratum corneum. We have various tips of coarseness which can be customized depending on your skin type. Crystal vs. Diamond: What if my skin is really sensitive? For sensitive skin the recommended machine is the diamond tip, since the crystal tip creates heat and inflammation, whereas the diamond does not. This makes it a superior choice for skins with vascular conditions and acne (grade I & II). Do I need this treatment if I use products? The extra bonus from receiving an in-house treatment such as this, is that afterwards the products that are used at home will penetrate 30-50% more effectively! How often should I get microdermabrasion ? The protocol for correction is once every two weeks for 6 visits, and once a month thereafter for maintenance. A lot of our patients visit us during their lunch break and go right back to work. I love microdermabrasion, but is there something better? The most advanced microdermabrasion is called Dermalinfusion by Silk Peel. The Breslow Center is the only Medical Spa in Northern NJ that offers this treatment. 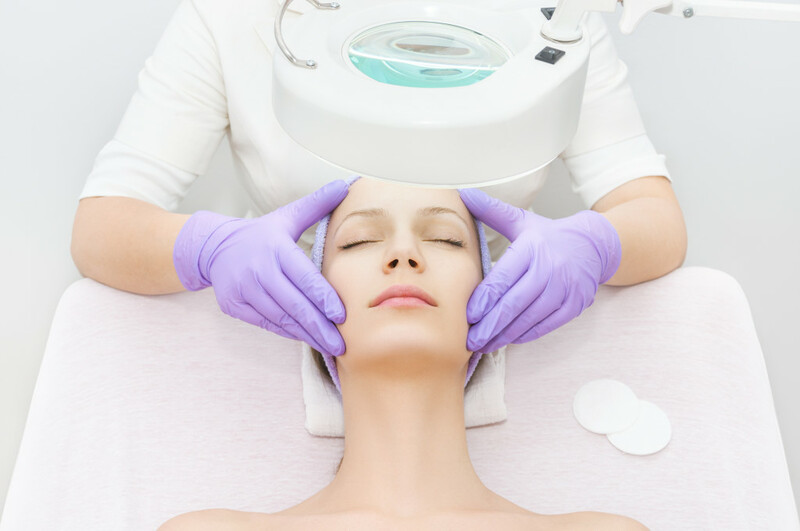 Our licensed medical aestheticians are passionate about skin care, are highly trained and stay abreast of new options in skin care and anti-aging. If you are trying to correct your skin, reduce fine lines and wrinkles, diminish age/sun spots, achieve a glow or maintain youthful looking skin, there is no other option that than our medical spa. What can I expect on my first visit to The Medical Spa at The Breslow Center? Your first visit will include a thorough skin evaluation including a Visia computerized skin analysis which allows us to see what is going on beneath the skin’s surface. It is important to identify this when determining what your treatment plan will entail. We will also educate you on the best skin care products and daily regimen options and how this use can dramatically improve your skin. How frequently should I get a facial? We recommend getting a treatment every 4-6 weeks. A treatment plan will offer results in the targeted area. We will also recommend a prescribed home care regimen that will help you to attain beautiful skin. At every visit, we will continuously care for your skin and together, see the results ! Collagen stimulation, hydration, detoxification, improved circulation, exfoliation and stress reduction. Regular facials also slows down the aging process. I’m very sensitive and have had reactions to facials in the past, am I still a candidate? Absolutely. Through a combination of cutting edge technology and medical grade products, we are able to treat all skin types regardless of condition and sensitivity. Can’t I just squeeze my pimples at home? NO! Medical aestheticians are trained in extracting blemishes. If not done properly bacteria may spread causing chronic inflammation which may lead to scarring. Many men receive regular facials to correct redness, hyper-pigmentation, acne and ingrown hairs, irritation from shaving and just to relax. I have been using the same products for years, why should I change my routine now? Although you may not realize, your skin can become accustomed to products and decrease in efficacy. Change of seasons, hormones, age and stress all play a critical role in what products you should be using and modifications need to be made accordingly. Making sure you are using the products that will benefit you most is something we take very seriously. Our aestheticians are thoroughly trained to recommend scientifically proven, medical grade products that are only found in doctors’ offices. The products we offer are far superior to those purchased at a makeup counter and are similar in cost. Your face is worth the investment ! Don’t wait another minute! Call our Paramus, NJ medical spa at 201-444-9522 to find out more about our SilkPeel Dermalinfusion, microdermabrasion, and facial treatments today!